Black Orchid was created by perfume creators of fragrance company Givaudan in 2006. It was announced as oriental chypre. The top notes are French jasmine, black truffle, ylang-ylang, black currant and effervescent citrus. 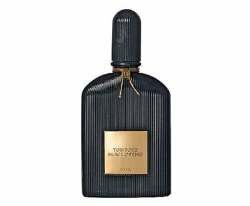 In the floral-spicy heart, dwells the Tom Ford's black orchid, imaginary more than real, and the base combines woodsy notes (patchouli and sandalwood), dark chocolate, incense, amber, vetiver, vanilla and balsam. Black Orchid was launched in 2006.